Card and label maker software will help user to craft ID cards including identification cards, photo, personal identification cards and labels. ID card and label designer program make ID cards, labels and stickers with different label and ID card designing tools including pencil, line, rectangle, ellipse, triangle, arc, barcode and star objects. Advanced color and background settings of ID card and label creator program helps user to create ID cards, tags and labels of different colors and sizes. ID card and label creator software is structured with data set series feature that helps user to create ID cards and labels like address labels, industrial labels, fabric labels, price stickers and tags with different barcode value and text. 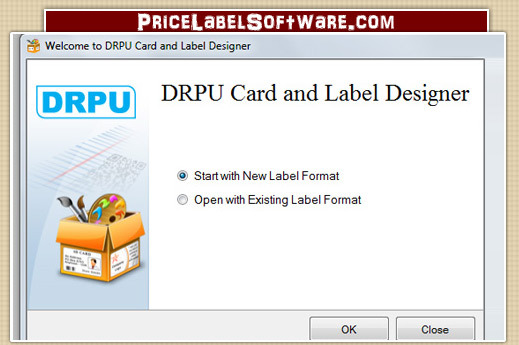 ▣ ID card and label maker program produce ID cards, tags and labels. ▣ Secure ID card and label creator utility provides advanced password settings to prevent unauthorized software access. ▣ Advanced printing settings provides facility to print created labels and ID cards. ▣ ID card and label designer tool helps user to set color and background during the ID card and label designing process using color and background settings. ▣ ID card maker software provide option to make ID cards, tags and labels using wizard or with blank format.